HealthCare.gov's open enrollment for 2017 started Nov. 1 and ends on Tuesday. "We've been busy, you know, consumer after consumer all day," she said in an interview Monday. She expects to be busier Tuesday. That may be surprising, given all the uncertainty surrounding the Affordable Care Act. Not far from Whitman-Walker, Republicans in Congress and President Trump are working to dismantle the health care law. Members of the House and Senate earlier this month took the first steps to repeal the ACA. Trump followed suit, issuing an executive order that asked his agency heads to do all they could to ease what he called the law's "burdens" on companies, insurers and individuals. So this could be the last enrollment day ever for Obamacare, which first provided coverage in 2014. Even so, as the midnight deadline to sign up for coverage approaches, Nicol says demand for insurance hasn't waned. "Our volume has been the same as it has been in past years," she said. That tracks with the latest numbers released by the Department of Health and Human Services. 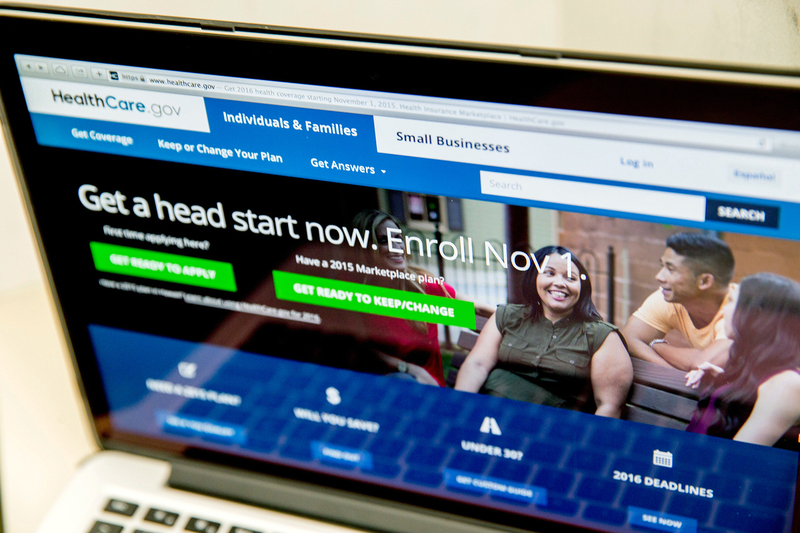 As of Jan. 14, 8.8 million people had signed up for coverage — slightly more than last year. Those numbers haven't been updated since Trump moved into the White House on Jan. 20, so it's unclear whether enrollments have picked up or slowed. At Whitman-Walker, Nicol says, her clients are worried about what's next. "We definitely have a lot of people coming in with a lot of anxiety surrounding the ACA and whether it's still gong to be here just through the end of the year," she said. She says they are reassuring people that insurance is available now and likely will continue to be available through the year. As for next year, who knows. That's because Republicans have spent the last few months talking about repealing and replacing Obamacare, but details of a new plan have been sparse. The concern about the future that Nicol sees in D.C. is showing up across the country, says Jennifer Sullivan, vice president for programs at Enroll America, which works to get people affordable health insurance. "Between action in Congress and actions from the new administration, consumers are confused," she says. "We are hearing that consumers are concerned and need clarification of what's available." In recent weeks, several polls have shown that with Obamacare threatened, more people view it more favorably. That's likely at the top of the mind of many Republicans who are grappling with how to replace the ACA with a program that will insure at least as many people as the ACA.